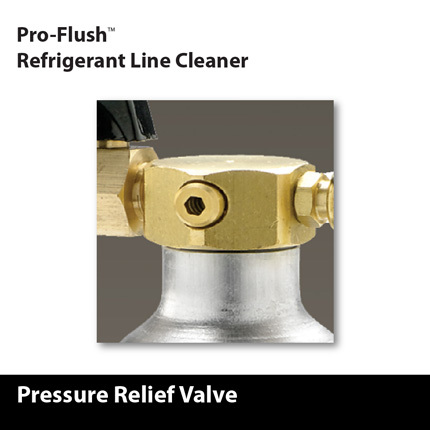 The Pro-Flush™ Kit includes a resusable tank with a pressure relief valve for added safety, a hose, and an injector trigger nozzle. 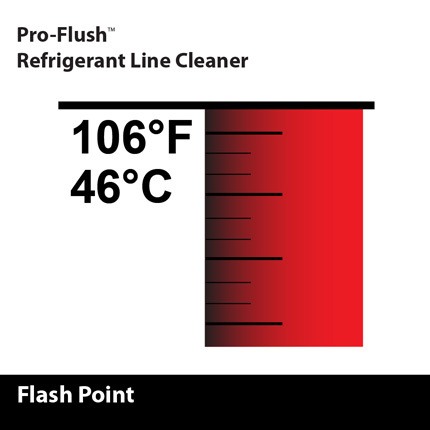 The Pro-Flush™ comes equipped with a non-boiling flashpoint that heats no higher than 106°F (46°C). 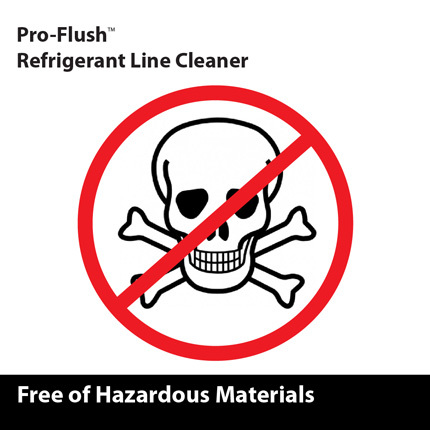 Pro-Flush™ is a safe, non-toxic, and residue free product. 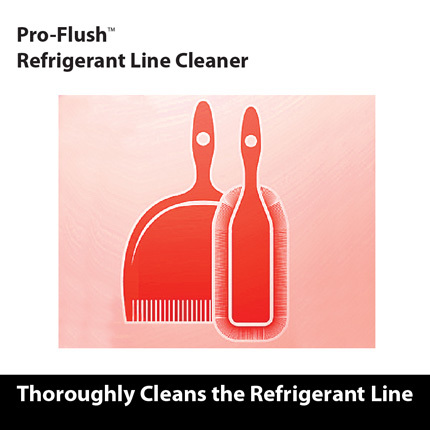 In addition, Pro-Flush™ meets EPA's Significant New Alternatives Program (SNAP) standards. 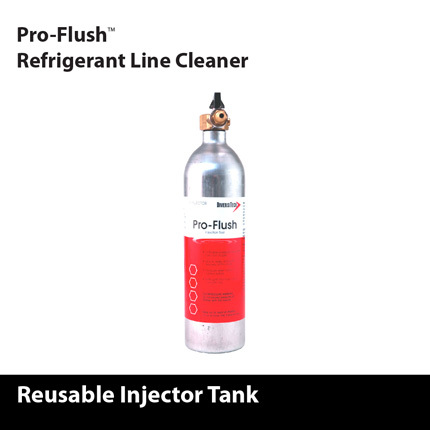 Since the Pro-Flush™ injector tank is reusable, customers can save money by only having to refill the can instead of purchasing a new tank. Pre-charged cans include refrigerant propellants which are more expensive to use than nitrogen. 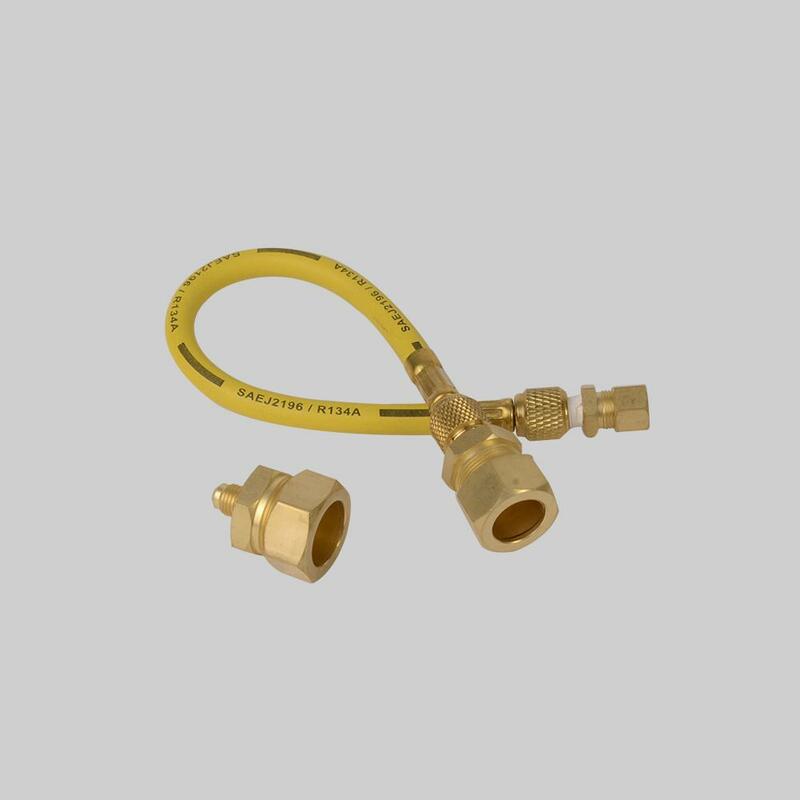 Since the solvent has a trigger assembly that allows for infinite control of the dosage, more economical use is ensured. In addition, using nitrogen as a propellant is less expensive and more environmentally friendly than using harmful greenhouse gases. 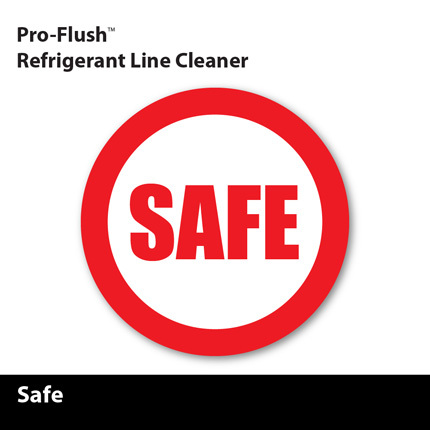 Pro-Flush™ is safe to transport without fear of hazardous material. 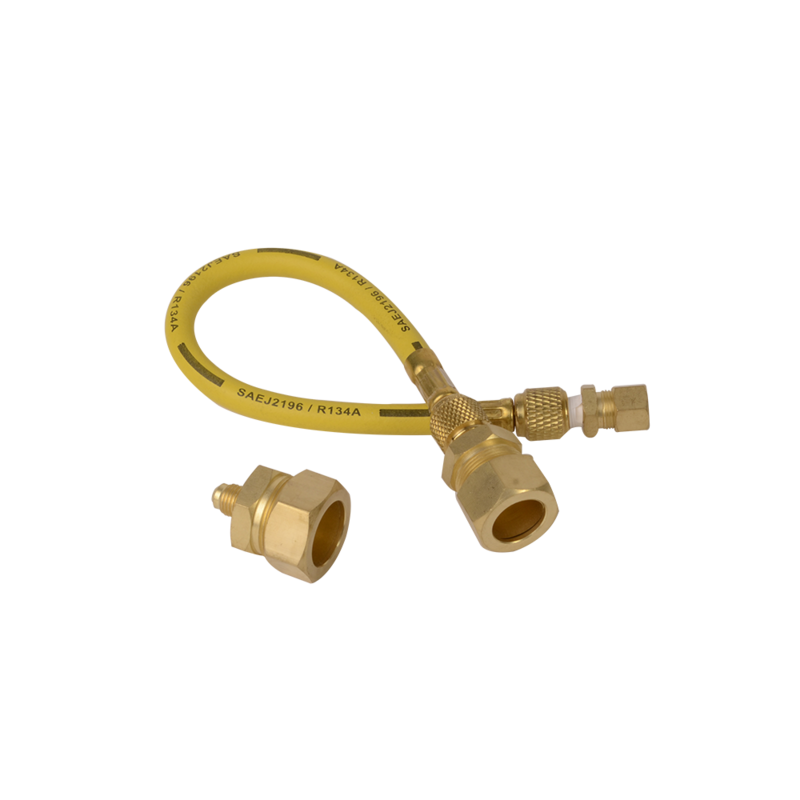 The Pro-Flush™ Injector includes a pressure relief valve that opens at 200psi, preventing dangerous over pressurization of the injector. 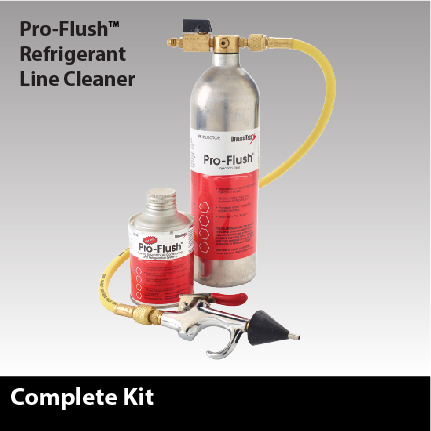 The boiling point of Pro-Flush™ is low enough that after cleaning the refrigerant line, most material boils off at atmospheric pressure, leaving no residue. Once the system is reconnected and sealed, the vacuum drawn on the system definitely removes any remaining liquid. 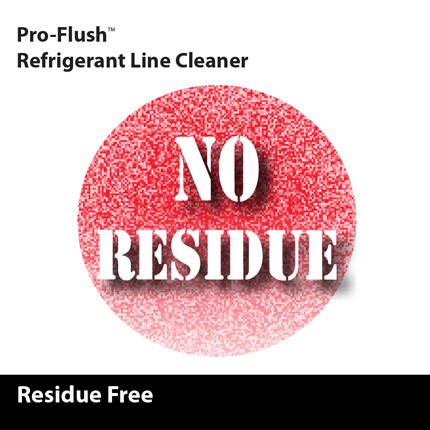 Non solvent based products are typically not fully removable from the refrigerant, leaving contaminating residue behind. 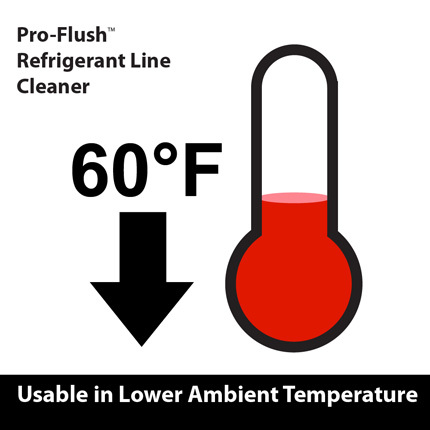 Pro-Flush™ is suitable for use in ambient temperatures below 60F. Competitors' prepackaged aerosol dispensers can not be used when the ambient temperature is less than 60F. When replacing cooling equipment, the refrigerant line should always be cleaned. Whether the system is a refrigerant upgrade or not. The old system failed for some reason, and there is likely foreign material in the refrigerant line. The only method to assure the line is clean is to use a solvent based cleaner.